Following on from the usage of guest books in the 1990s, the proliferation and usage of comments within websites exploded during the early 2000s as various blogging platforms featuring this ‘new’ functionality became increasingly popular. Commenting systems have since become a mainstay of the World Wide Web. Users have been able to add links to comments since their inception. Initially, the links included in comments did not feature the rel=”nofollow” attribute (it did not exist at this point), and featured ‘full fat’ links that passed PageRank and authority to the destination URLs. 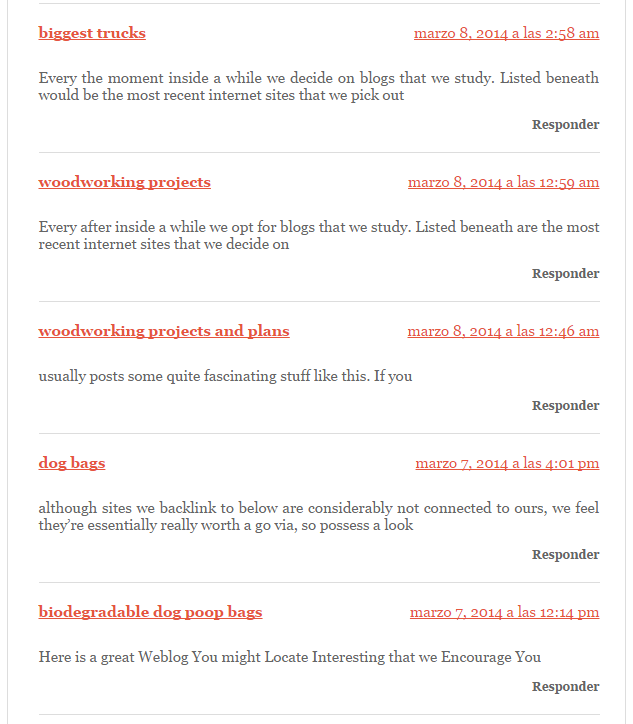 Unsurprisingly, these comments systems were heavily abused for link generation. Partially in direct response to this, Google helped introduce the rel=”nofollow” HTML to remove the positive effect the generation of these links could have. The rel=”nofollow” element was widely implemented by most commenting system providers. Note though that there exists many commenting systems in the wild that have never been updated and do generation follow links. URLs that are added to the website field when a comment is submitted. These URLs form links using the submitted user name as the anchor text when the comment goes live. 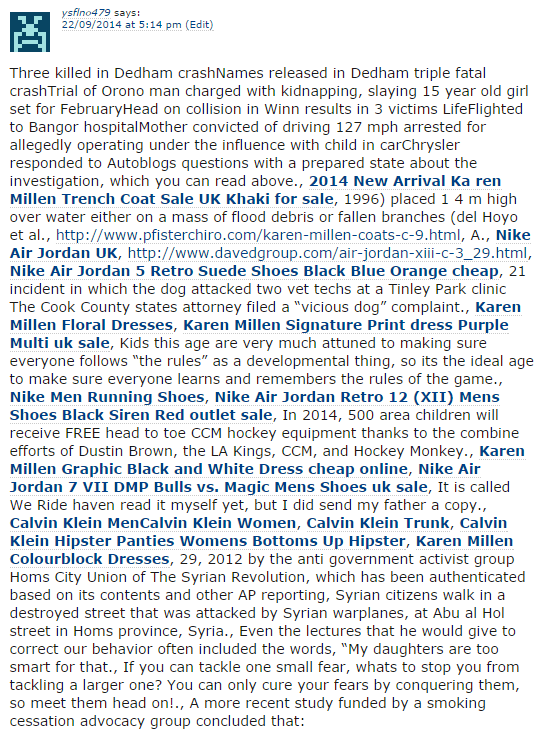 Comment spam links utilising the user name field as commercial anchor text. URLs that are added directly into the comment body. These links can be either URL based or utilise anchor text. Many commenting systems will automatically turn any raw URLs added to comments into ahref links. Comment body spam links, featuring both anchor text and URL links. Often appearing in high volumes due to having been produced by automated black hat tools, comment spam should be be quick to identify. It will usually have commercial anchor text and mechanically generated or poorly written copy within the comment itself. All comment spam should be marked for removal, even if it is marked as nofollow as it is damaging for your brand. In this example there are several things which give it away as being a spam comment. Firstly the comment has been made nearly 3 months after the last comment. The anchor text used for the profile name is commercial and the comment generic and short. This should be removed, and the URL only marked for disavow. This comment spam on a high quality website was chosen to highlight the danger of disavowing an entire domain such as the BBC. The URL only should be disavowed in this case, to avoid the loss of link equity from other links on the site which were editorially gained before and in the future. When outreaching to webmasters to remove comment spam, it is often advisable to provide them with the URL for the profile used to make the comment, so that they can remove the profile and not just the comment.